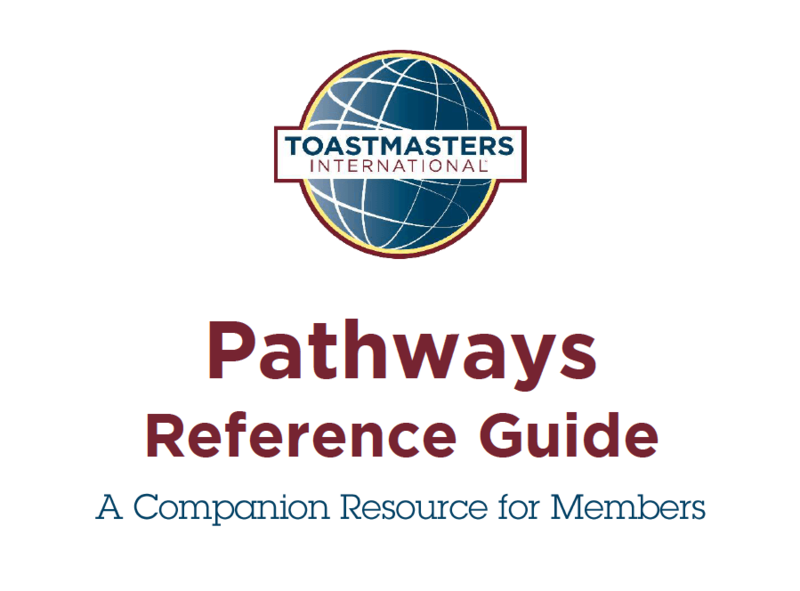 This PDF will guide has been put together by Toastmasters as a companion guide to The Navigator to assist members beginning the Pathways Learning Experience for the first time, and as a useful ongoing reference for members working in Pathways. It contains several resources which will enhance your understanding of how the program works and give you tools that you can use to get started. Take your time to explore all of the materials and familiarise yourself with the various aspects of Pathways. PDF – Pathways Quick Start Guide A Companion Guide for Pathways.